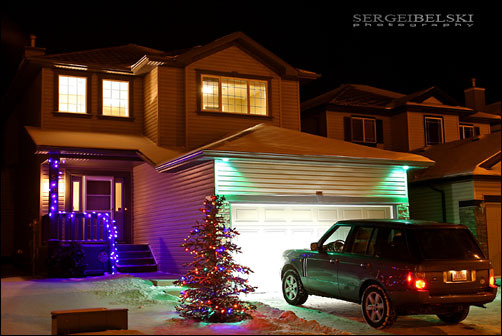 For 6 years now its been a tradition of me taking a photo of our house with a different vehicle in front of it. This year our tree is even bigger and we have Oliver's vehicle (stroller) :) Take a look at my previous photographs from 2011, 2010, 2009, 2008 and 2007. HAPPY NEW YEAR EVERYONE! 2012-12-30 18:33 Maple: What a great idea! From one party straight to another... this time, a personal one :) Earlier today we organized a little get together so family and friends could come and meet our little Oliver. Thank you very much Mandy for doing all the decorations and helping out so much! 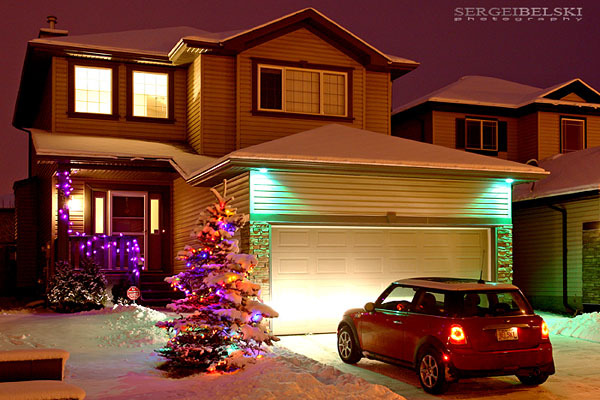 2012-12-17 12:15 Magenta Photo Calgary: The colours are so bright and the images, really crisp. 2012-12-16 18:32 Violetta: OMG, guys, such amasing pics...you went all out...Oliver looks so happy with all the friends, gifts, and yamy food all around him. It looks like even the cats had fun. Miss and love you so much! 2012-12-16 17:55 Maple: I'm sorry Oliver- we missed seeing you. Hoipefully we can see you in the new year. Stay cute and cuddly!! Here are some photographs from a small internal event I photographed on Thursday for SAIT Polytechnic. 2012-12-14 06:58 Paula: Awesome Pictures! The tiger ones are my favorite! 2012-12-13 09:35 Viktor: Nice pictures, tigers are just amaizing! Just a little personal post... Today Tracy, Oliver and I went to the Science Centre for Tracy's company kids Christmas party. 2012-12-10 11:01 Violetta: You guys look so amazing...love all the pictures!!!!!!! 2012-12-08 17:13 Tracy B! : Oliver did SO well!! Love our pics!!!! 2012-12-05 10:17 Sergei Belski: Thank you very much Charley! 2012-12-05 05:44 Charley Chapman: Love the action shots and being able to view the game from pictures. Action, challenging game and all got on film. Good job.